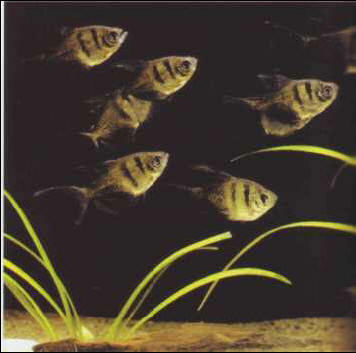 The black tetra or black widow breeds best in low light levels and can lay up to 1,000 eggs in soft, acidic conditions. A veil variety, with noticeably larger fins, has been evolved through artificial selection. Size: 5-6 cm.